“Someone had to die for Hal Nickerson to live in the house that he and his wife Jodie bought for a song seven years ago.” So begins this dry-toned, cool, and detached novel Dismantle The Sun (Booktrope Editions, 324 pages) with a line and a sentiment that prove to be something of a mantra for its main protagonist and a lynchpin refrain for the narrative arc. In the world of nature — in the world of man — something has to die for something else to live. Some persons — the Nickersons — include this in their ample proof of the non-existence of a beneficent Creator, while others — the fundamentalists — attribute the state of the cosmos to original and ongoing sin. Both take it all very personally. Hal Nickerson’s atheism in conjunction with that of his wife informs all of his sensibility while providing a certain distance from the most basic issues of life and death, love and hatred. This sentiment might be understandable if one were, say, no more than a student of Shakespeare’s tragedies — particularly the demented world of a Lear — and somehow have missed the redemptive perspectives of a Leontes (The Winter’s Tale) or a Prospero (The Tempest), fashioned in the Bard’s ultimate maturity. Snowden’s erudition is not narrow. The human spirit alone deserves more. This is not unlike the experience visited upon Shakespeare’s romance figures whose relationship to their children (Perdita in The Winter’s Tale and Miranda in The Tempest) transforms their tragic circumstance. 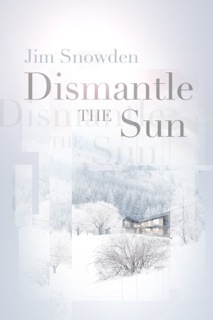 Jim Snowden takes up the same cause in Dismantle The Sun where he draws upon a broad grounding in the humanities in order to marshal the forces of human reason and scientific evidence against the primitive fundamentalism that has made little advance and, in some quarters, become more horrific in its positions since biblical times. While his sympathies would appear to be firmly in the atheist camp, there is no lack of integrity in his presentation of its shortcomings before life’s mysteries. Consummate writing does justice to this compelling, sustained, and acutely resolved drama. This entry was posted in just literary fiction and tagged character-driven story, existential literary fiction, philosophical themes in fiction, terse writing style. Bookmark the permalink.